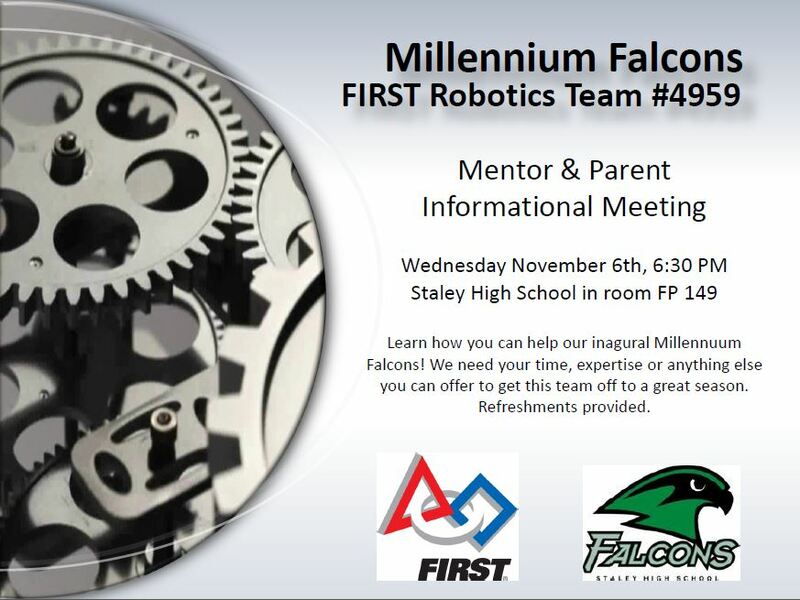 welcome to millennium falcon robotics! Staley High School would like to welcome you. Please take a moment and visit the rest of our website. Our calendar is updated every Monday with events and upcoming meetings. If you would like more information please visit the ABOUT page above or contact us by email. Any high school student may participate in Robotics. There is a place for everyone, and everyone plays Varsity.